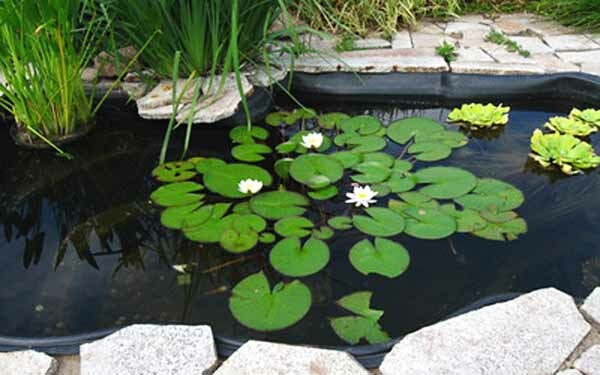 Small ponds are great additions to your front yard designs, gardens or backyard landscaping ideas. 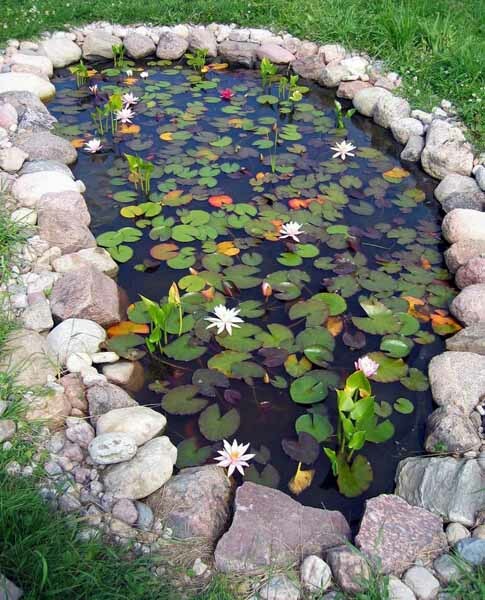 Small ponds look peaceful and turn your front yard or backyard landscaping into beautiful masterpieces, offering tranquil retreats to relax and enjoy the nature. 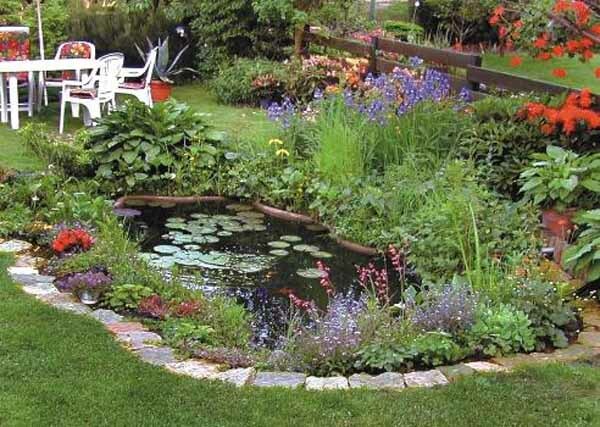 Backyard landscaping ideas that include small ponds can be the great inspirations for your own garden designs. Small ponds add charm and beauty to new garden designs and make old backyard redesign, decorating and home staging very attractive. 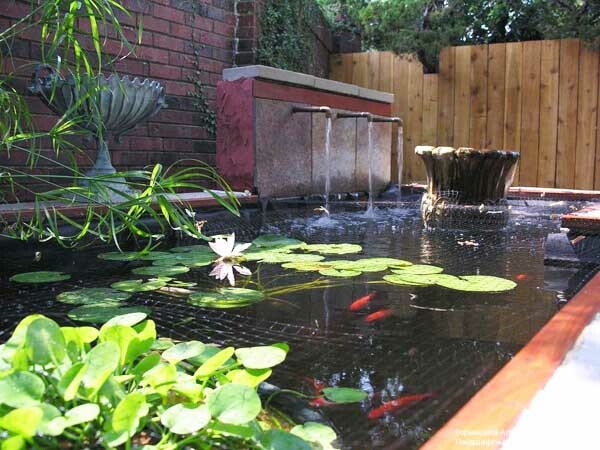 The gallery of backyard pictures with small ponds in various styles will help you to select your favorite backyard landscaping ideas and inspire you to start the further research for finding the best way to add a small pond or redesign an existing small pond. Attractive garden accessories and plants are important elements of garden designs with or without a pond. Green plants set the tone for an inviting, pleasant and peaceful outdoor atmosphere, dramatically transforming your front yard or backyard landscaping. Combined with a small pond, rocks and garden decorations, they create a beautiful and tranquil retreat. Here are 21 simple and interesting backyard landscaping ideas in different style that offer the inspirations for DIY projects or hiring a landscaping specialist that will help improve your gardenm front yard and backyard designs. Garden design is a fun activity that connect you with the nature and helps rejuvenate. 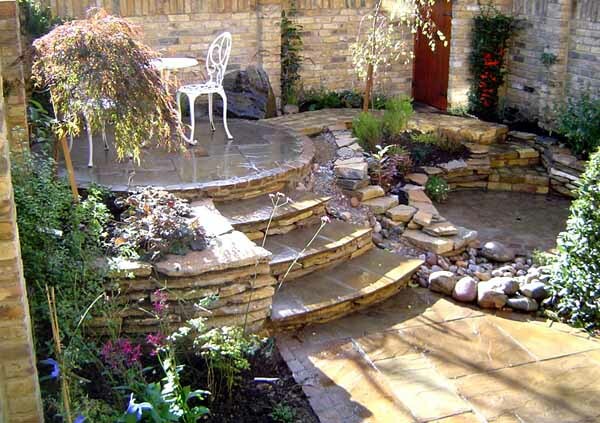 Beautiful rocks and water fountains, colorful flowers and water plants are great elements of designing a small pond and gorgeous garden designs. Front yard and backyard landscaping ideas that include a small pond, some decorative rocks, a bench, a water fountains and a garden path along the pond add harmony and balance to your house exterior design and improve the way your home looks and feels. 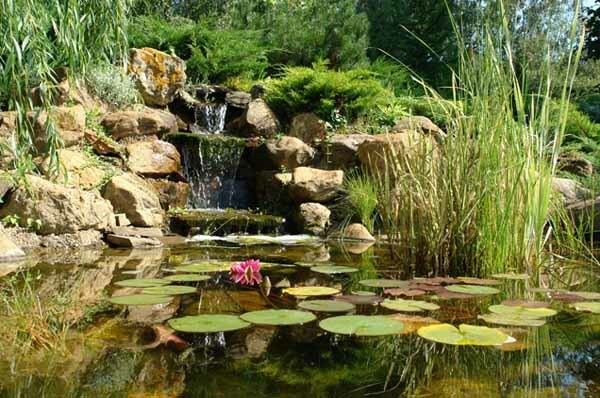 A small pond with a sculpture or a water fountain, surrounded by small rocks, green plants and flowers, grabs the attention in the morning, helps relax and lifts your spirit after a long and busy day at work.